"There is enormous senior poverty in our city," said Karen Buck, executive director of Philadelphia's SeniorLAW Center. "It's very hidden and ignored." If Ivy Maude Jones could still work, life would be easier. Cleaning houses, caring for the sick, toiling in corporate cafeterias - Jones always had money coming in, right up until the North Philadelphia woman retired two years ago at age 74, when her heart and thyroid conspired to end her clock-punching days. But like many American elderly, Jones is now struggling without a paycheck. Her tiny pension and Social Security income can't save her from a crushing poverty that could soon have her living on the streets. "In the old days, I could work two or three jobs and get good money," said Jones, who was born in Jamaica and raised six children without a husband. "But then I got old. And then I got sick." Poverty among the elderly is growing. And deep or extreme poverty - defined by the government as a single person earning $5,700 a year or less - has taken a jump that even experts find astonishing. For men over age 65 nationwide, the rate of deep poverty increased 23 percent between 2011 and 2012, according to analysis by the National Women's Law Center, a nonprofit advocacy group. For women, it went up 18 percent. Overall, that means a total of 442,000 elderly men and 733,000 elderly women were living in deep poverty in America in 2012, the center's figures show. In Pennsylvania, deep poverty for all people 65 and older rose 11 percent between 2011 and 2012; in New Jersey during the same period, the increase was 2 percent, the center found. In Philadelphia, around 13 percent of the total population - more than 200,000 people - lives in deep poverty. Among the Philadelphia elderly, deep poverty increased 19 percent between 2007 and 2011, according to calculations by Allen Glicksman, director of Research and Evaluation at Philadelphia Corp. for Aging. His research shows there are around 14,500 seniors living in deep poverty in the city. 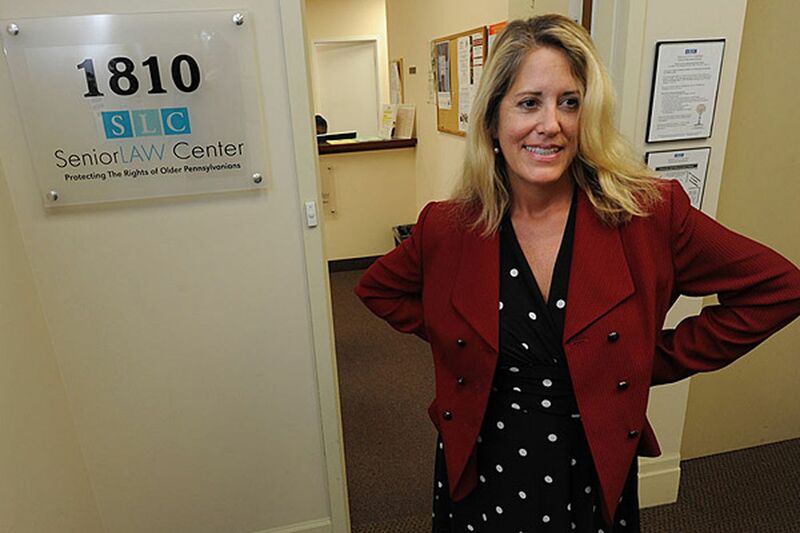 "There is enormous senior poverty in our city," said Karen Buck, executive director of Philadelphia's SeniorLAW Center, which provides legal aid to the elderly. "It's very hidden and ignored." Why deep poverty rose in a relatively short time isn't precisely known, although experts can guess. One theory is that changes at the Social Security Administration have hurt the elderly. It's not that older Americans saw a cut in benefits, said Katherine Gallagher Robbins, senior policy analyst at the National Women's Law Center in Washington. Rather, the number of claims for Social Security benefits has been increasing at the same time the agency has gotten less funding - as much as $1 billion below President Obama's budget request in fiscal year 2012, Robbins said. Insufficient funding, in turn, "significantly impaired" the Social Security Administration's capacity to deliver vital services to senior citizens, Robbins said. Also, while people commonly think of Americans 65 and older as retired, many seniors still work, Robbins said. However, the elderly tend to be unemployed longer than other groups, and might have been particularly hard hit by cuts to unemployment insurance benefits in some states, Robbins said. More locally, as Pennsylvania has ended General Assistance benefits and instituted asset tests for food stamps, those steps have lightened the already thin wallets of seniors, Buck said. "There is this fiction that seniors are cared for by Social Security and Medicare, but that's subsistence-level living," Buck said. "In many ways, it's deep-poverty living." Making matters harder, Glicksman said, Social Security can't help anyone who was never part of the system as a worker. Many low-income elderly women in Philadelphia are former maids who worked all their lives without anyone paying into the Social Security system for them, Glicksman said. Further burdening the elderly are relatives living with them. Jones, for example, lives with her grandson, who isn't generating income right now, according to Beth Shay, Jones' attorney with SeniorLAW Center. Between Social Security and a small pension from Jamaica, Jones takes in nearly $8,000 annually, which is just over half the poverty rate for a family of two - in other words, deep poverty. Jones lives in a house whose mortgage had been held by a relative. But that person stopped making the payments, according to Shay, and the house is $23,000 in arrears. It's not clear at this point what will happen to Jones, who faces possible eviction if the house is foreclosed on. But for an elderly woman living in poverty, there may be few options. Said Shay: "She has a significant mountain to climb."